Ed Friedman regularly represents Fortune 300 companies in unfair competition, employee-raiding and misappropriation of trade secrets cases. 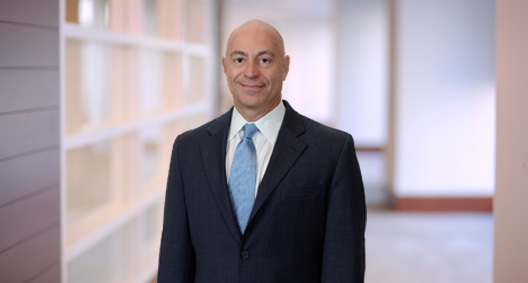 He has extensive experience prosecuting noncompete covenants and unfair competition claims, and with obtaining injunctions to prevent employee raiding, unfair competition or the use or disclosure of trade secrets. Drawing on his experience, he is able to assess his clients’ situations quickly and accurately and move forward with fine-tuned strategies. Ed is focused and aggressive in his prosecution, taking a targeted approach and proactively developing effective and efficient solutions. Obtained a favorable jury verdict in federal court for a medical device manufacturer in an age discrimination case in which a former highly compensated employee sued for approximately $1 million for alleged age discrimination. The judgment was affirmed on appeal. Obtained a favorable jury verdict in state court for an insurance brokerage firm specializing in group health and life insurance in a lawsuit filed by a competitor alleging tortious interference with contract, breach of fiduciary duty and breach of nonsolicitation agreement against a former executive. Obtained a favorable arbitration award finding no liability against the respondent, an occupational rehabilitation provider, in a dispute alleging breach of fiduciary duty and breach of nonsolicitation agreement. The arbitrator also awarded the defendant a sizeable attorneys’ fee award as the prevailing party. Serving as expert witness in a federal Sherman Anti-Trust Action alleging an illegal group boycott. Providing expert opinion on an employer’s custom and practice in enforcing and policing noncompete and nonsolicitation agreements, the custom and practice of filing suit against former high-level employees for breach of fiduciary duty, and the custom and practice of seeking temporary restraining orders and preliminary injunctions to protect an employer’s interests. Represented a medical device manufacturer in more than 30 cases across the United States prosecuting and enforcing noncompete agreements and obtaining temporary restraining orders and injunctions, as well as defending the hiring practices of the company and defending against lawsuits seeking injunctive relief and monetary damages against the company and its former employees. Represented an electrical energy trader in state court before a jury in which it was alleged that the trader tortiously interfered with the company’s contracts, breached his fiduciary duty to the company and breached the nonsolicitation agreement. Successfully defended against a temporary restraining order and injunction being entered against the client. The case settled on the sixth day of trial. Obtained temporary restraining orders and preliminary injunctions in state courts in New York and Texas on behalf of a community newspaper company against the seller of several community newspapers for breach of asset purchase noncompete agreements. Represented a Spanish newspaper publishing company in enforcing a nonsolicitation agreement by a former account executive. Obtained a temporary restraining order that resulted in the settlement of the case. Represented an advertising agency in connection with the departure of a number of former creative personnel and account agents throughout the country who breached terms of their post-employment restrictive agreements. In obtaining restraining orders and injunctions, the cases settled before trial. Represented a mortgage origination and fulfillment services company in connection with hiring approximately 40 employees from a competitor. A lawsuit was filed in federal court in Arizona alleging violations of anti-racketeering and numerous other common law causes of action. The matter settled on behalf of the client prior to trial. Represented an international wealth management company in numerous arbitration proceedings before the Financial Industry Regulatory Authority (FINRA) arising out of the departure of brokers and breach of post-employment agreements. Represented a brokerage firm in connection with the raiding of approximately 35 percent of its metropolitan office, resulting in millions of dollars of damages. The case settled after the entry of a temporary restraining order and transfer to FINRA for binding arbitration. Represented a leading oil and gas exploration company in the separation and negotiation of a severance agreement with its United States general counsel. Represented a leading oil and gas exploration company in connection with whistleblowing complaints made by a former employee under Sarbanes-Oxley and Dodd-Frank. Represented an international oil and gas exploration company in connection with the termination of key officers in the United States for plotting to form a competing company. Represented a leading oil and gas exploration company in defense of a defamation and libel suit by a former employee. Represented a gas pipeline company in connection with the termination of five employees who subsequently alleged the company had engaged in the unlawful blacklisting of former employees. The case was dismissed on summary judgment. Represented a directional drilling company in connection with the raiding of approximately 30 directional drillers, operational staff and sales staff. Obtained a temporary restraining order and temporary injunction against the defendants. Represented an independent outside director’s committee of a publicly traded onshore energy services company in connection with the negotiation and drafting of executive employment agreements and noncompete agreements with the company’s officers and key executives. Represented a leading onshore energy production company in connection with termination of employment and negotiation of severance agreements with several vice presidents and executive vice presidents. On behalf of a telecommunications company, arbitrated claims of a wrongful discharge and breach of employment agreement filed by the former president and vice president of the company. Obtained an arbitration award finding no liability. Represented a foreign bank in connection with the layoff of a quarter of its United States-based staff and resolved numerous Equal Employment Opportunity Commission charges filed in connection with the layoff. Represented the compensation committee of a board of directors of a publicly traded offshore rig company in connection with evaluating the compensation of the chief executive officer for say-on-pay disclosures, and negotiated and drafted an executive employment agreement. Represented a leading onshore energy production company in connection with its potential hiring of the executive officer of its chief competitor. Assisted the company in reducing litigation exposure in connection with the hiring of the executive, which resulted in no lawsuit being filed. Represented a leading oil field equipment manufacturer in connection with the hiring of the chief research and development engineer of its competitor. Defended the company and engineer in a multiday injunction hearing, resulting in a settlement between the parties. Represented a leading oil field service company in connection with the departure of its lead research engineer to a competitor. After extensive negotiations, a settlement agreement and research protocol were entered into by the parties. Represented an oil field technology company in connection with the mass resignation of high-level employees involved in artificial lift and horizontal pumping systems marketing and sales. Conducted forensic discovery and ultimately entered into a settlement that included an agreed permanent injunction. Negotiated and drafted executive compensation and employment agreements of the chief executive officer and president of a national trust company. Represented a consumer energy provider in connection with the unlawful misappropriation of employee personnel information that was posted on a social media site. Succeeded in getting the information removed from the social media site and retrieving the information, preventing further disclosure. Represented a commercial real estate developer in connection with a collective action under the Fair Labor Standards Act (FLSA). The case settled prior to certification of class. Represented a commercial management property company in a collective action under the FLSA. The case was settled prior to trial. Represented a leading multiuse project developer in connection with the termination of its regional manager. Successfully negotiated the terms of settlement and release involving commissions and interests in numerous commercial projects. Represented a national pump manufacturing company in connection with a former officer’s departure to a competing company. After extensive discovery and depositions, a settlement was reached. Represented a national school supply company in connection with the raid of more than 25 percent of its sales force by a competitor. Discovery was conducted in 12 states and the parties settled the case before a temporary injunction hearing. Represented a leading manufacturer of home products in connection with the theft of its trade secrets by a former officer who provided information to a company in Central America. After conducting discovery abroad and in the United States, a settlement agreement, including permanent injunction, was entered into. Represented a medical device manufacturer in connection with termination of its distributor in France. A lawsuit was filed for wrongful termination, and after months of discovery and ancillary proceedings both in France, the United Kingdom and the United States, a settlement was reached, avoiding millions of dollars in potential liability to the client. Led due diligence in connection with reviewing more than 100 distributor and independent sales contracts of a medical device manufacturer acquired by the client. Advised the client with regard to terminating distributor contracts and converting an independent sales force into direct employees. Also represented the company in numerous lawsuits filed throughout the company resulting from the termination of contracts and defeated attempts by distributors to obtain restraining orders to prevent contract terminations. Defeated an attempt by a distributor to obtain a preliminary injunction requiring the client to provide the distributor with all of its products and technology.